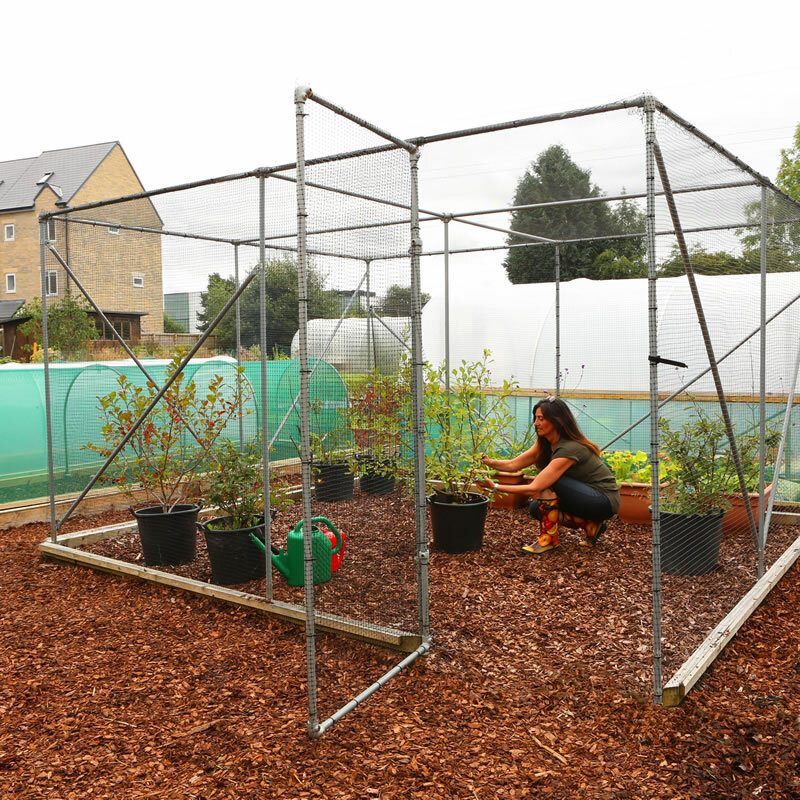 Our 3 Bay x 3 Bay Fruit Cage measures 5.7m wide x 5.7m long x 2.14m high (18¾ft x 18¾ft x 7ft) and is manufactured from 25.4mm Z35 galvanised high tensile steel. Supplied with seven end Stabiliser bars which are fitted to each corner and one door making our Fruit Cages exceptionally strong structures. Rated 4.9 out of 5 based on 14 reviews. So long as you read the instructions, and measure between the post feet, everything goes as per the instructions. Drilling pilot hole for the self tapping screws to start them off helps, but still excellent product. Excellent product, very sturdy. Straight forward to assemble too.